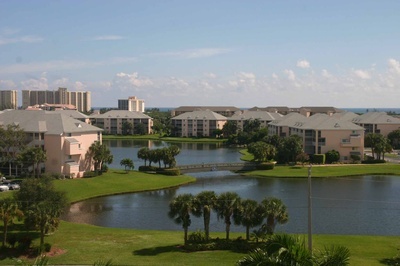 Jupiter Bay Resort is a large complex of condos overlooking a large lake or Carlin Park. 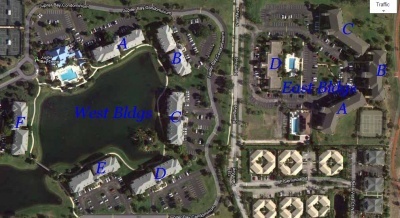 Jupiter Bay has an east and west section of condos. 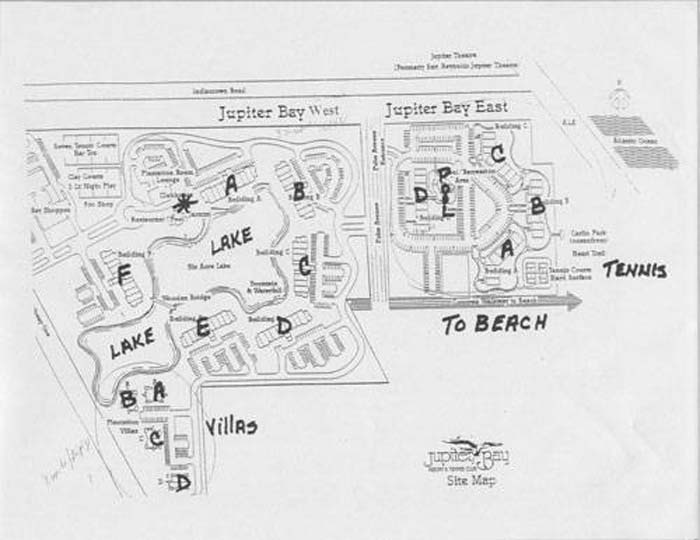 There are 14 buildings and 359 condos in Jupiter Bay. They are popular rental properties. 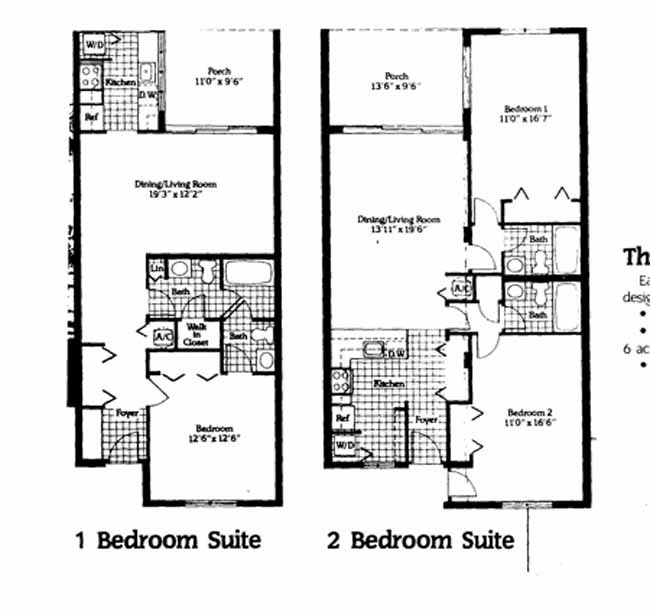 There are 1 and 2 bedroom condos ranging from 850 to 1,250 sq. ft. 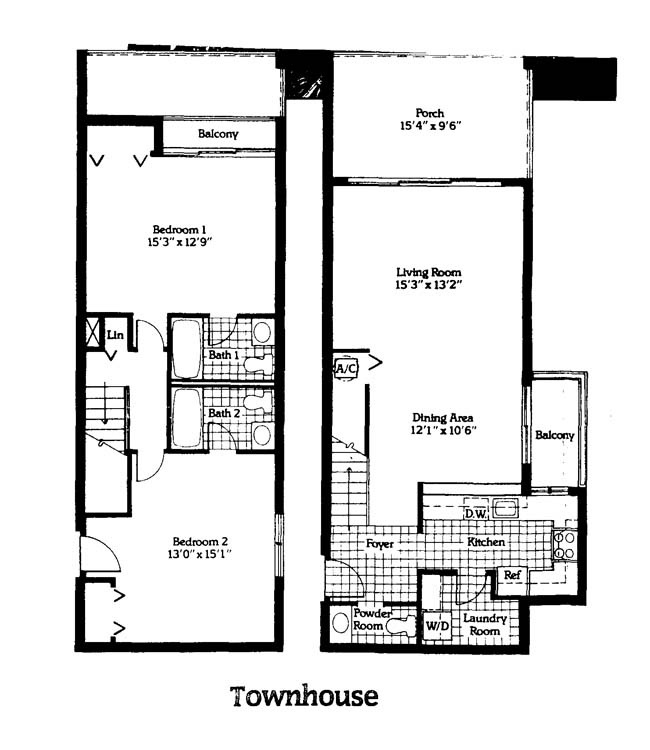 Some of the corner condos are townhouse style with two story upstairs/downstairs units. On-site is a pool, restaurant and clay tennis courts. Jupiter Bay has a tennis club on site. Sugar Cane Grill is the on site restaurant in Jupiter Bay. Browse listings for available Jupiter Bay condos, or Read more about Jupiter Bay condos in Jupiter FL. Walk out back of the East condos and you are sitting on Carlin Park heart trail. The Heart Trail is a 1 1/2 mile fitness trail with tennis and an amphitheatre where they have plays and concerts. There is an on-site rental office that allows weekly rentals during parts of the year. Owners are allowed a 20lb pet and no trucks or motorcycles are allowed. The normal rental is 30 day minimum. Jupiter Bay is close to shopping, restaurants, movies and just a short walk to the beach. Check out the convenience of Jupiter Bay Resort or ask us about other Juno Beach condos that you may have not seen. Jupiter Bay offers a walker friendly community that is a short walk to so many Jupiter attractions. Just across the street you have the Jupiter Yacht Club which features two restaurants and is part of the Jupiter Riverwalk. The Publix shopping center which houses several restaurants as well is a 5 minute walk. The new Harbourside Place which features retail shops, restaurants and an outdoor theater are walking distance. The new miniture golf as well as the par 3 Jupiter Dunes are walking distance. Best of all the beach is a 10 minute walk from Jupiter Bay. Take a look at more Jupiter real estate options from beach properties to golf communities. You may want to look at Abacoa homes as they are popular kid friendly communities with lots of activities including baseball stadium, golf course and downtown restaurants. If a Jupiter Bay Condo listing has caught your eye or you want more information about Jupiter, FL real estate, please don't hesitate to call 1-561-744-7025, or email via our handy contact form with any questions or to arrange a showing.